Who will win first prize in the dog show? A hilarious tale about a group of neighbourhood dogs who decide to hold a dog show – with a cat as the judge! 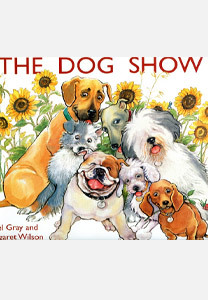 Each dog has a special claim to the prize, but the outcome is not as they expect.